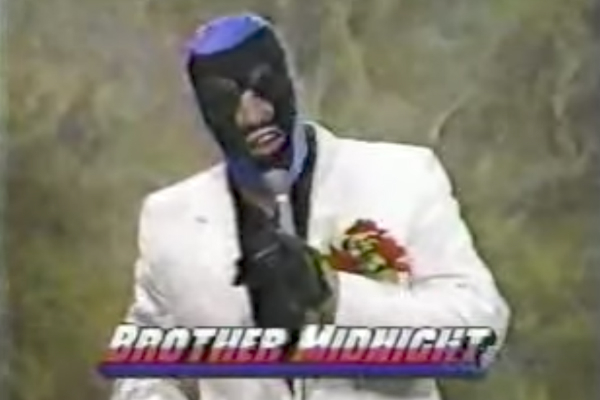 – Brother Midnight makes his long awaited debut on the Superpodcast! Baby! – Longtime referee Scott Dickinson joins the show to discuss his career, as well as his friendship with the late Brian Hildebrand. Scott talks how he first got into the wrestling business as a referee and recalls his experiences working for ICW, Don Muraco, Tony Rumble and WCW. Scott also details his time working with his friend Brian, better known as referee Mark Curtis. Scott reveals how the wrestling world reacted when Brian got sick and battled cancer, as well how Hulk Hogan got involved. This compelling talk concentrates on both the life of a referee and the last years of Brian Hildebrand’s life. – Jim Cornette returns to the Superpodcast to discuss the late Brian Hildebrand. Jim and Brian had a friendship years before they worked together in Smoky Mountain Wrestling, and Jim talks about his fondest memories of Brian. – Allan Blackstock is back on the show to discuss the names being added to the Wrestling Observer Hall Of Fame ballot this year. The names include: Sputnik Monroe, Trish Stratus, Kota Ibushi, Bill Goldberg, Rick Martel, Tully Blanchard & Arn Anderson with J.J. Dillon, Chavo Guerrero Sr., George Steele, Wild Bill Curry, Tetsuya Naito, and Sangre Chicana. – TGBL & Scott Bowden talk about everything from Scott’s heat with Dave Brown to the power of a Jackie Fargo endorsement. Plus Hot Dog, The Handsome Boogie Man, Slaughtering A Sacred Cow and much more!